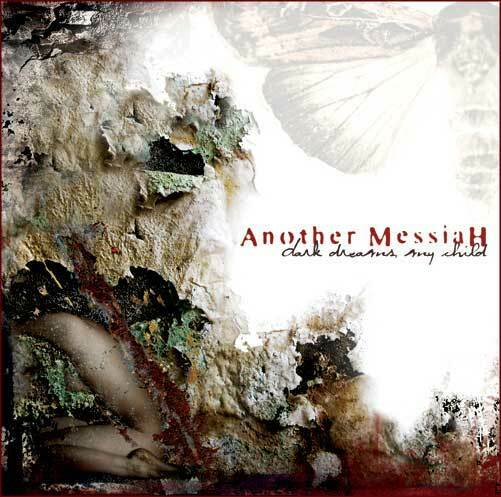 Another Messiah seem to be relatively unknown, so I’ve taken it upon myself to write a review for their previously unnoticed material, particularly the debut full-length ’Dark Dreams My Child’, for the challenge. According to the genre description, Another Messiah are stated to be an epic doom metal band from The Netherlands. Epic doom isn’t a sub-genre I’m too familiar with, but not so long ago I decided to research the sub-genre by finding bands that play within this style and checking out their material to see where it ranks against the many sub-genres of doom metal. In a general sense, it’s a strong sub-genre, using creativity to put a fairly new spin on the doom genre which isn’t exactly faltering at this stage in its career. Doom is actually fairing quite well in comparison to, lets say, death metal which seems to have caused a lot of unrest amongst fans of the old school because the modern day characteristics of the genre aren’t as appealing as they once were. Doom hasn’t suffered at all in the modern era. Instead of being held back by the influx of innovative minds, doom has been favoured by luck. 1. a woodwind instrument having a slender conical, tubular body and a double-reed mouthpiece. This one instrument actually alters the entire opinion of the record. Without it, the entire piece would probably be considered average-good by my standards. Although, having said that, the acoustics which sometimes remind me of Opeth (see ’Dead Man Walking’) and clean vocals also display a side of Another Messiah which I can really buy into. ‘I Never Noticed’ is a particularly great song which displays the essential nature of Another Messiah’s music, which consists, once again, of contrasting two varying sounds. The light and the heavy. The big and the small. Call it what you will, but when this sound is mastered, its formidable and unstoppable in its overwhelming desire to conquer the listeners apprehension. Songs like the aforementioned use acoustics, a strong bass section and emotive clean vocals to enhance the soundscapes, which are sorrowful and depict the connotations of that word. The lyrical themes are made more powerful by the enhanced soundscapes, this is conveyed particularly well in the chorus of the aforementioned song. The harsh vocals, which are typically deep growls, aren’t as effective as the clean vocals which display a lot more emotion, especially alongside the folk inspired oboe and the barrier of bass that hugs the emotiveness of the oboe well. As enjoyable as the bass, clean vocals and the oboe are in their conjuration of sad emotions, the other sections don’t inspire as well as these one’s do, but instead blend a sense of mediocrity into the soundscapes. My general opinion of this record is positive, but there are sections which don’t do much to enhance the concise moments. Instead of displaying a clear direction, the screamed vocals, which are sparse thankfully, confuse the soundscapes. Alongside the progressionist percussion (which confusingly like to take on heavier moments, see ’Dead Man Walking’, when mostly its soft-ish and comfortable) and stuttering guitars, the growled vocals have a definitive place amongst the soundscapes, but the screams do not necessarily belong in the mixture. ‘She Softly Starts To Cry’ and songs of this variable nature are confusing when they start to apply screams to the soundscapes, which are generally trying to depict a more subtle side of anger and pain. One thinks the growls and clean vocals did this well enough by themselves and that the screams are unnecessary in comparison. An odd piece, but generally quite good.